On 21st April 2016, Suntec REIT announces its financial results for 1Q 2016. Distribution Per Unit (“DPU”) rises 6.3% to 2.37 cents as compared to 2.23 cents in 1Q2015. Gross revenue increases to S$78.3 million in 1Q2016 as compared to S$74.5 million in 1Q2015. Net property income also increases to S$54 million as compared to S$51.4 million in 1Q2015. The increase in gross revenue and net property income was attributed to the opening of Suntec City Phase 3 which resulted in higher contribution from Suntec City Office and Suntec Singapore. With the completion of Phase 3 in June 2015, this marks the end of the Asset Enhancement Initiative (“AEI”). Office occupancy stood at 98.3%. 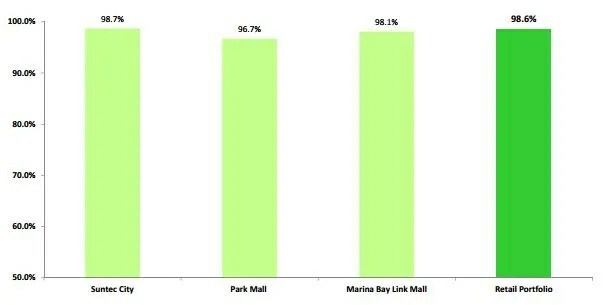 Retail occupancy stood at 98.6%. As of 31st March 2016, the total debt outstanding is S$3.046 billion. Debt to asset ratio stood at 34.7%. The average term to expiry is 2.67 years. Suntec REIT has a Net Asset Value (“NAV”) of S$2.114. 6.0% of the office leases are expiring in FY2016. 23.1% of the retail leases are expiring in FY2016. 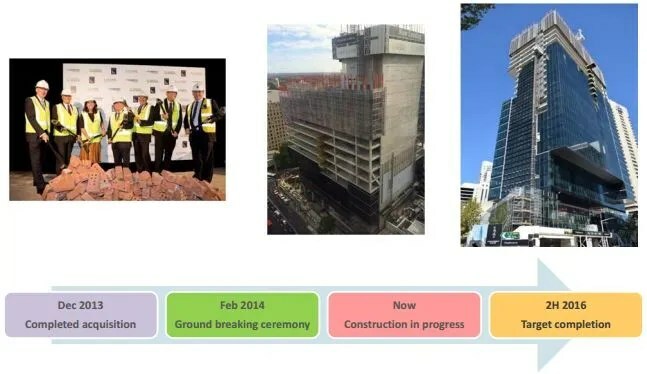 Target completion of office and retail asset in Australia, 177 Pacific Highway, Sydney in 2nd half of 2016.